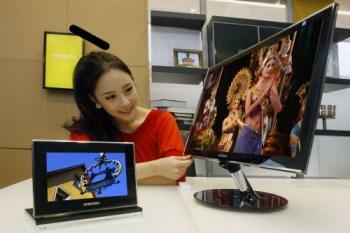 Samsung has announced a new product, the 700Z digital photo frame. It has a 7" AMOLED display. This is the largest OLED Samsung has commercialized to date, and it's great news. They haven't said when it'll be released, or how much it'll cost.